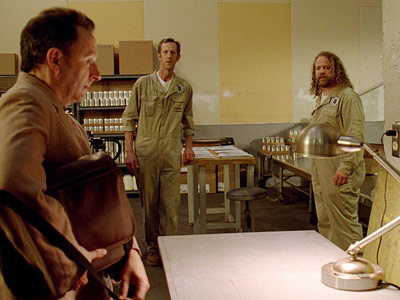 In the series finale of Lost, Hurley (Jorge Garcia) becomes the island’s new protector and Ben (Michael Emerson) agrees to help him, much like Richard Alpert helped Jacob. In the final minutes of the episode, when they see each other in the afterlife, Ben and Hurley quietly exchange compliments about how well they did their jobs on the island; an indication that they worked together on the island for some time. The scenes will appear on the Lost: The Complete Sixth And Final Season as well as Lost: The Complete Collection DVD set. As the caption says, both are due to be released on August 24th. What do you think? Do you plan on buying or renting season six of Lost so that you can watch this extra footage? Now what am I going to have to look forward to each week!!! Thank-you to all the people who made this great show possible. Good Luck to all your future acting adventures!